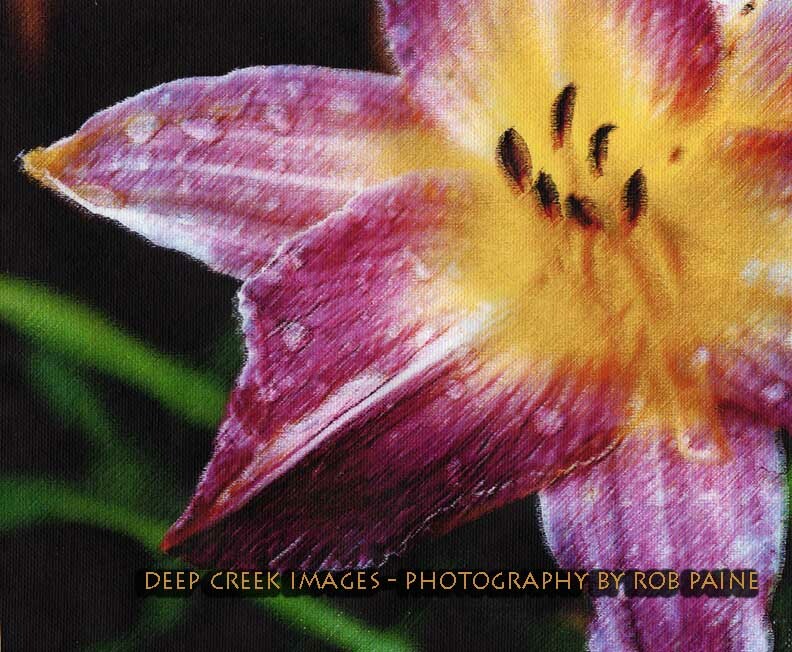 A copy of one of my first flower photographs I took in my dad’s garden in North Carolina. I had photographed his house and the beautiful mountains that surrounded it near Asheville a hundred times. I was looking for something new to shoot. The flowers in his garden which I had walked by so many times without a thought caught my eye and I began to take pictures. Prior to that afternoon, I from time to time photographed nature scenes as part of my job as a photojournalist, but I had never “stopped and smelled the roses.” or the tulips, or the orchids. I became hooked and ever since I rarely pass a flower without stopping to take a look and take a photo, or two or three, sometimes to the chagrin of the people I am walking with who want to get somewhere on time. When you stop to take a close look at a flower, you never know what you are going to see or find. 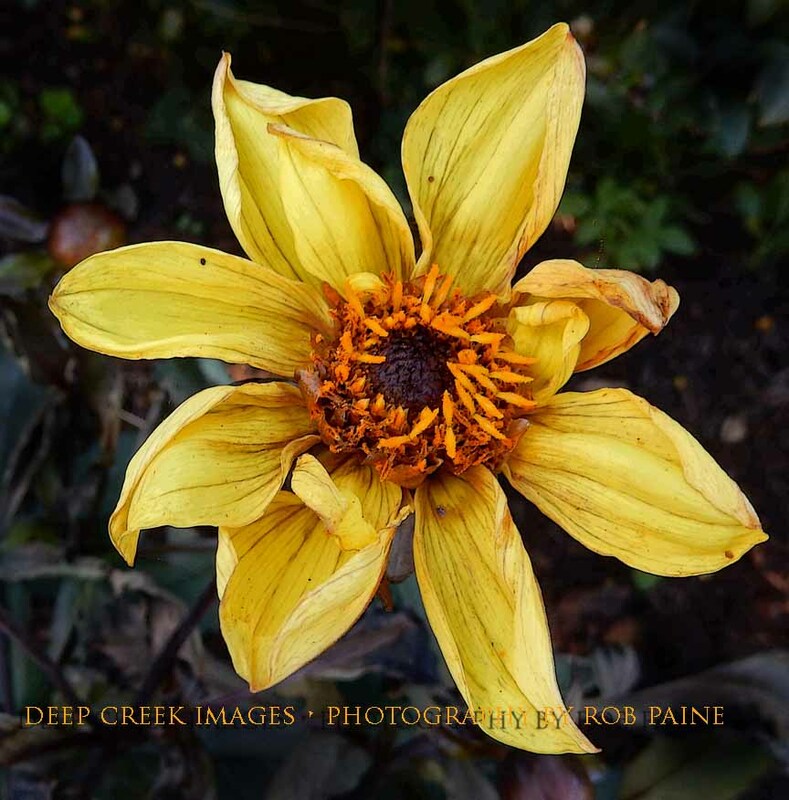 You might notice the freshness and order of a just bloomed blossom or come to appreciate the weathered lines and character of a fading flower. They are a lot like people when you think about it. It is ironic that this new phase of my work began at my dad’s house. His love and talent for photography sparked my love for this art and inspired me to start taking pictures when I was eight-years-old. My hobby turned into a career that I truly love and I am grateful to my dad for that every day. My camera has opened up so many exciting doors and exposed me to things I would have never experienced otherwise. Today my dad who was an incredible father, a World War II veteran and one of the most generous and supportive people I have ever known, would have turned 98-years-old. While next Sunday, June 18, is the official one, for me, today is My Father’s Day. Thank you Dad! Do you remember who inspired you to take photos or to start doing what you love? Please share your thoughts in the comment box below. Below is a gallery of some of my favorite flower photos. Very Nice Rob! 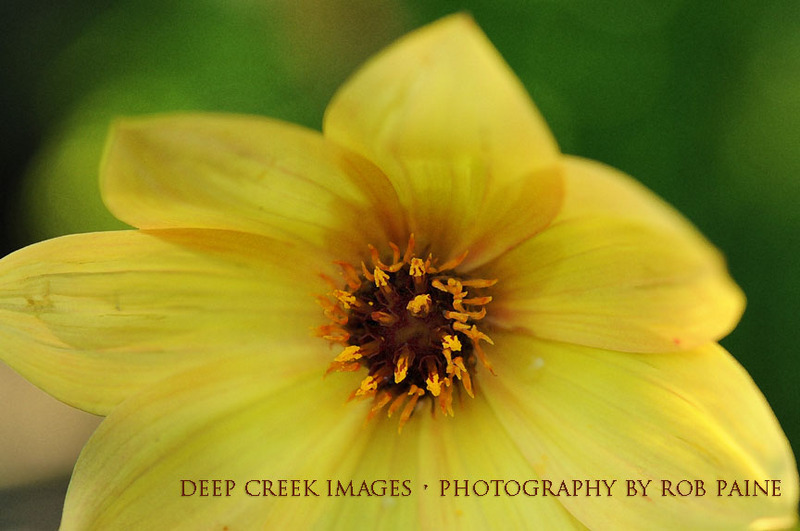 I enjoy looking at your images and I also enjoy photographing flowers and nature in general. I have shot commercial work for 47 years and photographing these subjects just seems to help you see things differently in my own work and also helps lessen the stress of the commercial work. 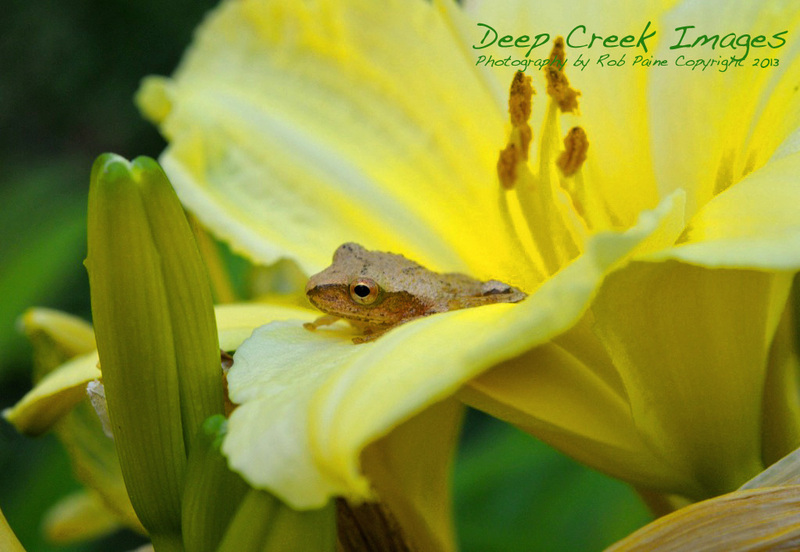 An orderly flower child the little frog in the flower salutes you. You are welcome! You have a wonderful blog with beautiful, unique photos. I look forward to seeing more!